Elements of Action is a collaborative design practice working in furniture design, landscape architecture and project management. We hand-craft beautiful objects and design contemporary spaces. We build nature into design. We design and curate bespoke furniture and gifts with clever details and push the boundaries of design to create dramatic contemporary works with deep roots in the local landscape, materials and traditional techniques. 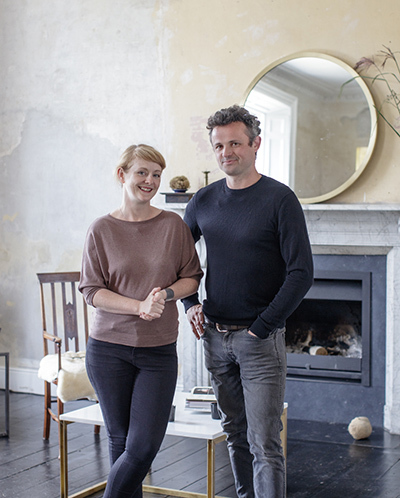 All work is designed and handmade in Ireland by our partners Edward Coveney and Esther Gerrard. Elements of Action outsource a small portion of work to local master crafts. EOA are members of the Institute Designers Ireland and the Landscape Institute. Our work has been awarded an IDI award 2016. An award in Domestic Interiors and a commendation in furniture design. Esther and Ed combine design and a love of materiality and Irish landscape with a background in construction and stone masonry. 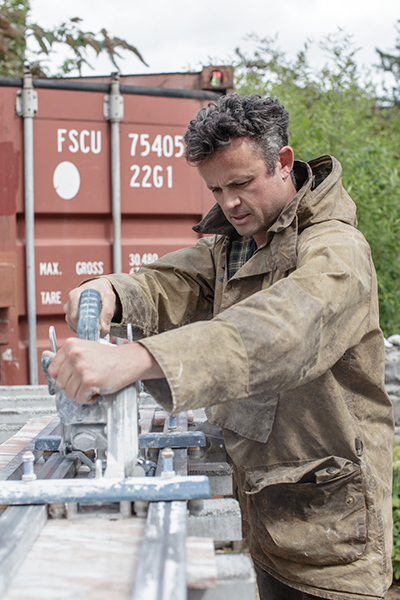 Both are designers, makers and Landscape Architects and bring skills in product design, specialist stonemasonry, landscape architecture and project management. Esther is landscape architect and an experienced project manager and has delivered and successfully executed major projects in both the public and private sector. Ed was a master stonemason with a meticulous eye for detail and quality previous projects range from painstaking renovations, elaborate follies and both landscaping and architectural stone work. The elements of action furniture collections are made and designed by Ed. The handcrafted furniture celebrates the simplicity of two elements, natural local materials of wood with stone or metals. Our vision is for bespoke elements with innovative and clever details.